Since a customer touchpoint is just the way your audience interacts with a specific piece of content, you can understand the needs of your customers with several free online marketing tools for small business owners. A touchpoint can be a blog post, a web page, an ebook, or an email. Customer touchpoints are important because they provide context to the customer journey for your audience. These benefits are often realized with the help of a freelance copywriter to speak the language of your customers and drive more conversions. These points provide the opportunity for your brand to build a relationship with your customers. You need to understand your customers before you begin creating content. This will ensure you are not wasting time or resources to create content (since content creation can be expensive). Optimization is the next step to create a great experience for your customer. Once you know their needs and desires you can begin to make the best content possible. Think through every action your audience takes during the process of researching, purchasing, etc. to get to your product or service. Place helpful information about your products or services in strategic locations to guide decisions. Create landing pages that convert, so you can close more sales with minimal effort. Entice your readers to sign up for your email list, and other channels. Send high-quality email campaigns depending on their stage of the customer journey once they sign up for your email list. Tie your content together at each touchpoint, so there is a consistent feel to the experience. An example of this is to provide a support page link on your receipts, that change depending on the product your customer purchases. Leverage channels and messages to determine what stage your audience is at (if you don’t know already). Tracking who, what, where, and when an individual interacted with a touchpoint is crucial for the success of any business. The process of mapping out your content, and building user personas to optimize every customer touchpoints can be an overwhelming. However, it doesn’t have to be. As long as you start small and stay smart, the process should be organic and grow at its own pace. 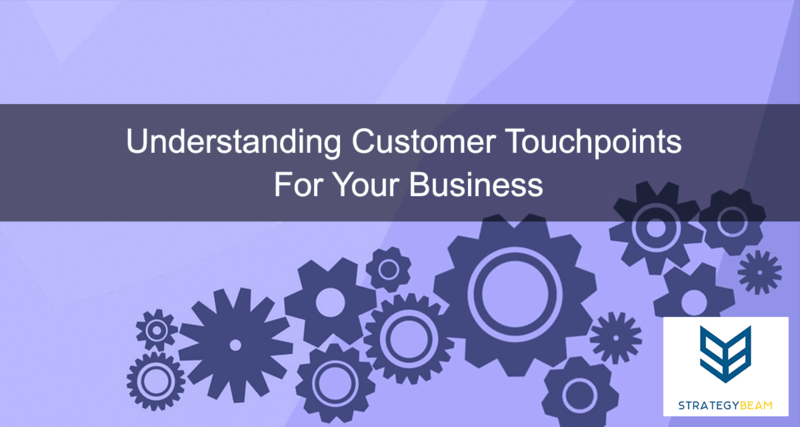 Don’t rush in and build out each touchpoint, because there are often smaller and easier customer touchpoints to consider that will have a larger ROI compared to those that require development time. Creating and optimizing content is an organic process. At the very least, you should be validating your customer assumption by revisiting how your campaigns are doing at each of your customer touchpoints. Follow these steps to build your customer touchpoints around what your customers want and see the great results! Now it’s your turn. How do you create and optimize content for your customers? Let me know in the comments below!